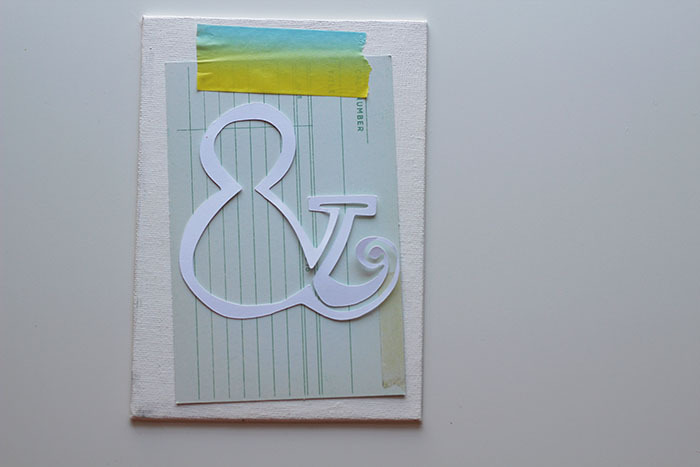 This taped-up ampersand canvas is ridiculously easy and ridiculously cute. 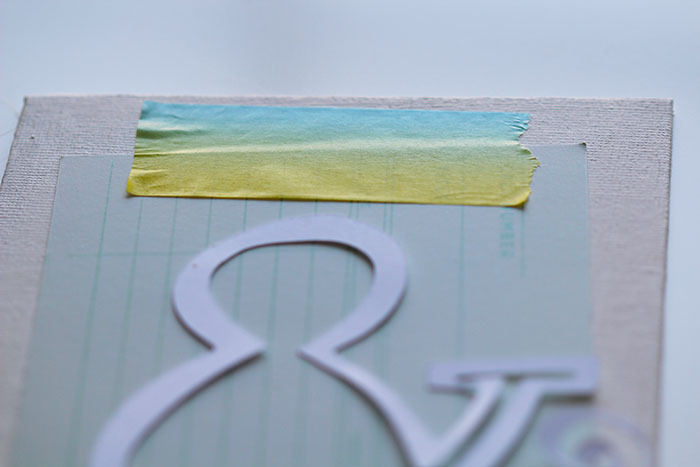 Grab a length of blue and yellow ombre watercolour style washi tape, a journalling card, a paper ampersand, and a prepped canvas. 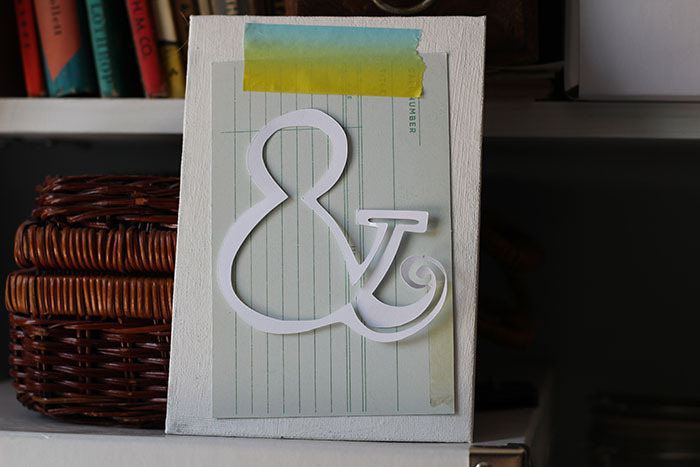 Such an easy way to add a bit of colour to your space and enjoy a couple of your favourite paper pieces, too!